Life Outside the Shell: Are you Type A OR Type B? We are living in a time that glorifies very specific things about women. The barrage of media confirms its love of women that are constantly working. They have perfect houses, magazine styled nurseries, perfectly dressed children, picture perfect dinners, no dishes in the sink, fruit cut and prepped at all times on the counter, and on and on. Many would call women driven to do all of these things Type A personalities. Thank God for these women that set the standard high, but can I just say that Type B women make the world a balanced place. You know us! We could wear athletic clothes to every event and not feel bad about it. We can enjoy a hearty bowl of cereal for dinner (no pictures please). We are perfectly fine sitting down with our kids while the kitchen cries out for some love in the form of a good cleaning. Yep, that's us. 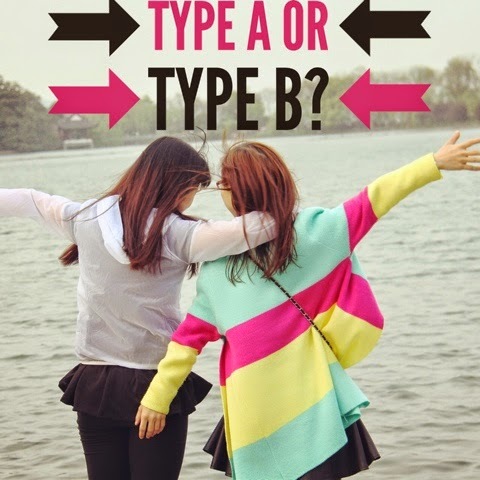 As a Type B girl, I adore my fellow Type A girls. They keep me accountable for things that may not ever cross my mind otherwise. They push me to put a little more time and effort into areas that don't play a part in my normal day. They remind me that the details matter. Type A girls are original the pinners on Pinterest! Amazing! Knowing that God made us all different is important, but even more important is loving those differences. We must learn to appreciate and use the differences we see in each other. I once had a friend tell me that she loved for me to visit because I truly never noticed the 'messes.' And she was right. My focus tends to be on fun and less on function. While I have many times in life that I wish I were Type A (and I know my husband has wished it too), I have learned the value in how I am wired. Even in my relaxed nature, I have a purpose. Here is what I have learned about my Type B personality: I need outside motivation. I need those Type A ladies. I need time in the Word. I need fun little quotes. I need goals!! I cannot depend on my personal drive to get things done. There is no shame in loving the Type B that God created me to be! As a girlfriend – embrace those ladies that have completely opposite personalities. You need them and they need you! It is a match made in heaven. Literally! All my single ladies – Don't count out that guy because he is not your “Type.” There is strength in your differences. Yes there may initially be conflict in your differences, but as you both grow it will become something beautiful for you to operate together! Like peanut butter and jelly! Like salt and pepper! Like milk and cookies! Like bread and butter! I am sorry I don't have any healthy pairs that are better together. The Bible says we are wonderfully made! Whether you are Type A or Type B, God made you exactly how He designed. He loves everything about you, quirks and all. Know who you are! Know your strengths and don't give up on those things that are categorized as weaknesses. Fill your world with people that will challenge you, whether you need to learn to stop and smell the roses or you need to learn to throw away the roses that died 2 weeks ago in that vase on your table. God loves them all! Kendra's boys say that she spends her time making dinner and wrestling them for hugs. 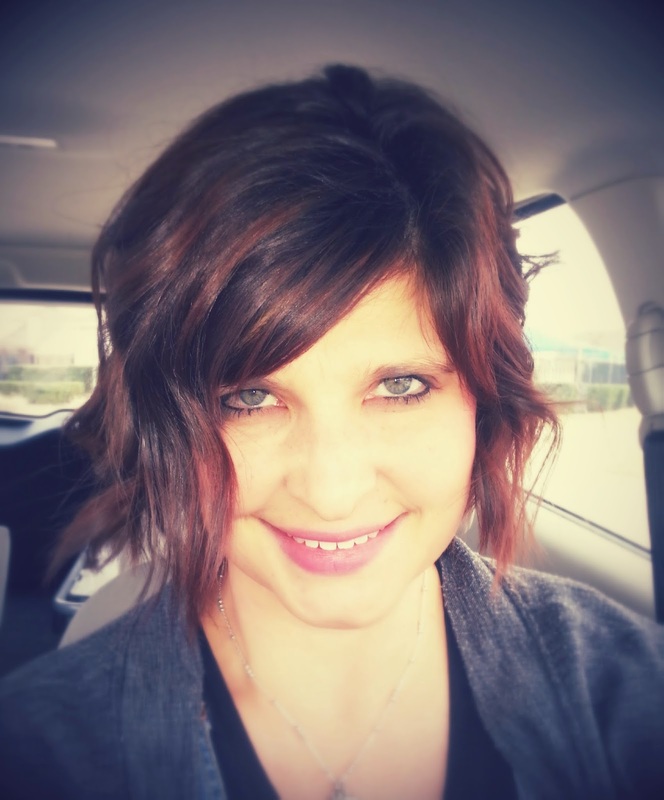 Kendra spends the rest of her time as a full-time mom, a full-time pastor's wife, a part-time accountant, a ladies group leader, a PTA board member, and the director of the mentoring program for Gateway's NFW campus. She recently wrote the book, “Encouragement Between Loads of Laundry” and while Kendra doesn't even enjoy making dinner, she is proud that it is first on her boys' list! The rest are just details!